Although treaties forbid ownership, the powerful nation would have little resistance when laying claim to lunar resources. 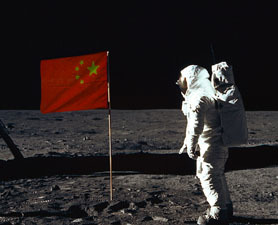 Within about 15 years, China could have a permanent presence on the moon, and be laying claim to its resources. There may not be anything the United States, hobbled by debt and politically polarized, can do to stop China. By the time U.S. astronauts return to the moon they may need permission to touch down — from China, which is laying the groundwork for a lunar land grab, says long-time space advocate and entrepreneur Robert Bigelow. 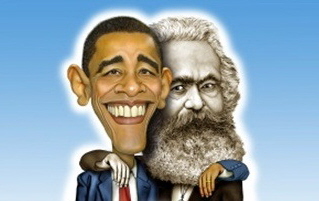 “This will characterize the 21st and 22nd centuries and beyond. If we ignore this, it will be at our extreme peril,” Bigelow said at the International Symposium for Personal and Commercial Spaceflight under way this week in Las Cruces, N.M. The way Bigelow sees it, China, which has no debt, cash reserves of $3 trillion, technical skills, a long-term strategy and strong national support, will lay claim to raw materials on the moon in about 15 years. The land grab will occur despite an international treaty barring ownership of extraterrestrial bodies, concludes Bigelow, who points out that China’s growing global economic influence will make it less likely other countries will object to its lunar expansion. “This isn’t going to start World War III,” Bigelow said. There’s several reasons why China might want the moon, not the least of which is its trove of mineral resources that include water and helium-3, a potential fuel for fusion energy reactors. Laying claim to the moon also would have a powerful psychological impact, displacing America’s Apollo forays and catapulting China’s international status in one fell swoop. “Nothing else China could possibly do in the next 15 years would cause as great a benefit for China,” Bigelow said. With the United States straddled by debt and political gridlock, Bigelow thinks the first round of the game is already lost. But there’s still time to give China a run for its money on Mars. “Hopefully this will produce the fear factor necessary to motivate Americans,” Bigelow said. China, which is not a member of the International Space Station program, although recently launched a test module for its own outpost in orbit. . That was followed by human missions this past week. The Shenzhou-9 capsule rode to orbit atop a Long March rocket from the Jiuquan spaceport on the edge of the Gobi desert. In addition to a small space station, China has announced plans for a lunar base by 2020. “They’re serious about what they’re doing,” said Mark Sirangelo, who oversees Sierra Nevada Corp., one of several firms working to develop commercial passenger spaceships for NASA and other users. Posted in Freedoms and tagged China, Debt, Space Travel, United States.